I grew up in the suburbs. In fact, I grew up in quintessential suburbia, in a Dallas bedroom community called Coppell that was home to good schools and the corporate headquarters of CiCis, the official pizza buffet of pee-wee soccer leagues. Coppell is placid, pleasant, and reasonably tight-knit, with a healthy culture of civic involvement and volunteerism that mostly revolves around the town’s children. Overall, it is a fine place to grow up. Naturally, it is just the kind of place that urbanist visionaries—the types that fill out the ranks on planning boards and in influential think tanks—wish to fundamentally transform. The rap sheet against suburbia is long, and if you have ever taken a sociology course you are likely familiar with most of the charges. Suburbs are sprawling and wasteful, despoiling virgin wilderness for developments of cookie-cutter houses (or worse, McMansions) that isolate residents from one another behind fences and the dark window tinting of Ford Explorers. Moreover, they are aesthetic wastelands that leave their occupants spiritually impoverished. Moreover still, they are racist. The conventional view of suburbia is encapsulated by Paul Krugman: "sprawl, sprawl, and even more sprawl, a landscape of boxy malls and McMansions. Bo-ring." Suffice it to say that suburbia is not in vogue with liberal policymakers, and has not been since the progressive slum-clearers of old—who were quite amenable to clean, spacious developments on the periphery of cities—were replaced by planners whose visions for society extended far beyond the safety and material welfare of the people. In the view of such planners, people ought to live in cities, and the good city houses citizens close to one another, often in towering highrises. Such a city offers a bevy of cultural and entertainment amenities that serve to attract desirable residents, namely highly-educated, cosmopolitan members of the "creative class," who can drive the city’s economy. The wealth generated by the creative class can then be taxed to pay for public services, like schools and transit systems, for the more numerous workers who do not belong to the creative class, but who cater to its needs in the service sector, creating a kind of symbiosis. According to the planners, such cities have many virtues with none of the suburbs’ vices. By reducing the size of living spaces and discouraging automobile ownership, city living is environmentally friendly; by putting industry leaders in close proximity to each other, city living is economically dynamic; by offering cultural amenities and entertainment options, city living is enriching and fulfilling. None of which sounds too bad, in theory. But as Joel Kotkin argues in his book The Human City, the plan has worked out only for a select few in practice. For example, me. As an unmarried, degree-holding twentysomething working in media and living in Washington, D.C., I am a prototypical beneficiary of urbanism. The district offers countless museums, theatres, concert venues, and chichi restaurants and bars to divert me—so many cogs in the city’s "entertainment machine," as Kotkin calls it. There are countless interesting young people to befriend and date. It is expensive, yes, but a well-educated young person manages, perhaps by joining the shock troops of gentrification, perhaps by grabbing onto a financial floatie from the parents. Before you accept a Millennial’s bleatings about how the city is ruining them financially, ask how often they brunch, and how much they paid for those eggs. Urban living is manageable, desirable even, for those who can tolerate the city’s cramped conditions and afford its basket of amenities. This group comprises "the educated young, the childless affluent, and most particularly, the very rich"—in short, the very creative class that planners wanted to entice to the cities in the first place. What about everyone else? For them, Kotkin writes, the city is an increasingly forbidding place. Costs that are irksome for affluent families and singles with high earning potential are prohibitive for less-well-off families and singles with uncertain career prospects. High costs exert pressure on these groups, lowering their standards of living and altering their lifestyle choices in dramatic ways: they are permanent renters, living in bad parts of town in small domiciles paid for by jobs without much opportunity for advancement. The cultural amenities of the city are mostly out of their reach, while civil society is anemic due to low levels of property ownership and the transience of urban residents. Childbearing is delayed for a host of reasons. Kotkin notes that San Francisco now has 80,000 more dogs than children, a statistic that reflects the logic of urban living: dogs may be expensive, but they aren’t as expensive as children, and you don’t have to send Fido to the failing school around the block. If we accept the studies that identify the four pillars of a happy life as faith, family, community, and work, then the modern city is inhibiting, rather than facilitating, happiness for the bulk of its residents. In light of this reality, planners’ tireless promotion of cities for environmental and lifestyle reasons seems like dogmatism. "The attempt to reduce the space and privacy enjoyed by households is not ‘progressive’ in this sense," Kotkin writes, "but fundamentally regressive." It is self-serving dogmatism at that. The city is a good home for a lucky few during certain seasons of their life, but it is not a good home for most. Crucially, it is far from clear that policy tweaks and transfer payments can alter this situation in a meaningful way. Instead of tinkering our way to an urban paradise or Radiant City, Kotkin recommends that we embrace a kind of "urban pluralism" to "expand people’s options for a better life." That means a sustained effort to make the city livable, yes, but it also entails acceptance of the suburbs—the boring, much-kicked-around neighborhoods that still represent the best hope for a pleasant life for most people. The best evidence of suburbia’s benefits lies in its popularity. 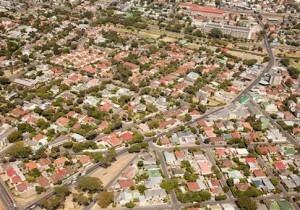 Suburban growth rates consistently exceed urban growth rates, despite the housing bubble and a decades-long, sustained campaign against suburban development by trendy thinkers—including those in the current administration, who have prepared a major HUD initiative to strip suburbs of their tax revenue and autonomy over zoning decisions. The reality of suburban life simply isn’t as grim as the naysayers suggest, and Kotkin rattles off a long list of statistics to prove it. For one, suburbia is no longer a homogenous redoubt of whites who took flight from the city. The racial makeup of the suburbs is changing as minorities themselves take flight from bad schools and prohibitive costs in the urban core; according to the Brookings Institution, about 60 percent of Hispanics and Asians already live in suburbs. Additionally, the suburbs are not as wasteful as they are made out to be. According to Kotkin, low-density suburbs only have marginally higher emissions of carbon dioxide and pollutants than high-density cities when common spaces and devices like elevators are taken into account. Pursuing a policy of "cramming," then, would produce negligible environmental benefits at great expense to the comfort, privacy, and well-being of residents. In light of these realities, it is not much of a stretch to predict a suburban renaissance in the coming decades, so long as development is not inhibited by planners. Suburbs are changing to accommodate new residents, many of them immigrants or young people whose tastes tend towards pho and farm-to-table rather than all-you-can-eat. So the storefronts are changing, as are the city centers. Some suburbs have adopted the wiser insights of the New Urbanist movement by building pedestrian-friendly cultural centers and meeting places for residents who live nearby in traditional suburban developments. If the modern suburb isn’t a localist paradise, neither is it a Levittown. And it’s still a heck of a lot cheaper than Manhattan.